Thailand's culture minister is set to propose that a special committee be established to oversee the production of films, documentaries and videos related to the experiences of the 12 boys and their coach who were trapped in a cave for almost three weeks before being rescued. 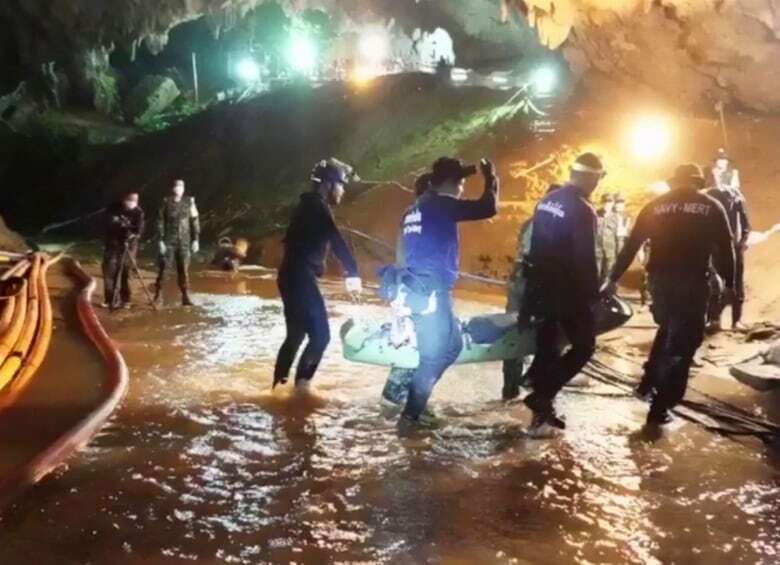 Thailand's military government wants to control how movies portray the ordeal of the young soccer players and their heroic rescue from a flooded cave that drew worldwide interest and the attention of foreign filmmakers. Culture Minister Vira Rojpochanarat said he will propose at next week's cabinet meeting that a special committee be established to oversee the production of films, documentaries and videos related to the experiences of the 12 boys and their coach who were trapped in a cave for almost three weeks before being rescued. The rescue, carried out successfully against high odds, was a rare moment of uplifting news from Thailand, which has been mired in political conflict and heavy-handed military rule for more than a decade. Even as the world watched the cave saga, a boat sinking off a southern resort island claimed almost 50 Chinese tourists, an event that normally would have registered as a high-profile debacle. The cave rescue also allowed the government of Prime Minister Prayuth Chan-ocha, who has been criticized for political manoeuvring to stay in power after elections planned for next year, to share in some glory. The government's Thailand Film Office already regulates the production of films shot in Thailand by foreign companies, including vetting scripts and issuing filming permits, but Vira said the committee would oversee content, licensing and the protection of privacy of the rescued team and their families. Vira, speaking after a film board meeting Thursday chaired by Deputy Prime Minister Wissanu Krea-ngam, said five foreign film production companies have shown interest in making a movie or documentary about the cave rescue and some had already been on location to collect information. Thai film producers have also shown interest but have not yet contacted the government, Vira said. The boys and coach of the Wild Boars soccer team were released from the hospital on Wednesday. At a news conference, they described how they got trapped in the cave, and after 10 days cut off from the outside world were astonished to see two British divers rising from muddy waters and assuring them work was underway to rescue them. "This [story] has all the right elements," Vira said. "If you talk about drama associated with filmmaking, it has everything. It has loss as well as jubilation. The content and story it has for filmmaking is very complete. Even if you don't create additional drama, these events had every flavour." Several murals and sculptures have already been commissioned to mark the epic cave adventure. 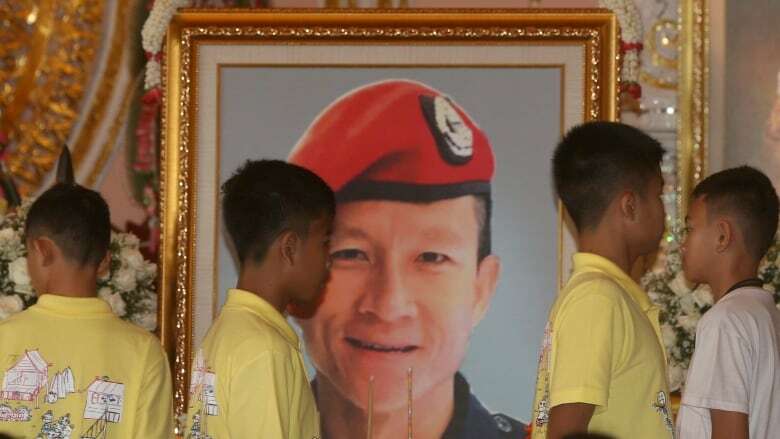 Many focus on Saman Gunan, a former Thai navy SEAL who volunteered to help with the rescue effort and died while diving on a mission to supply the cave with oxygen tanks essential to helping the boys escape. Saman is being treated as a national hero.